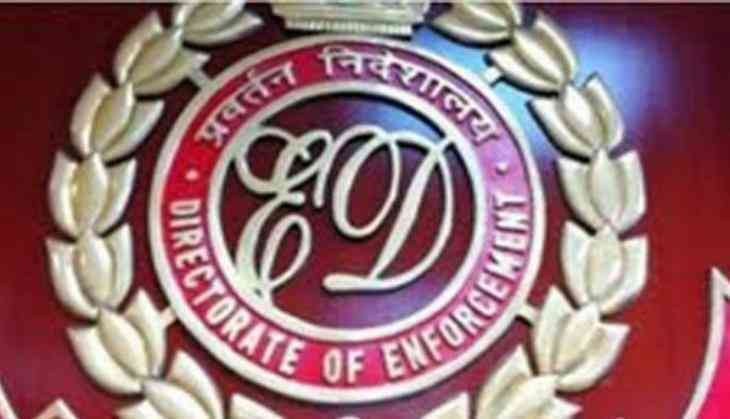 The Enforcement Directorate (ED) has arrested Nilesh Janardan Thakur, brother of former Maharashtra Housing and Development Authority (MHADA) deputy collector Nitish Thakur, and produced him before Mumbai's PMLA court. The court has sent him to judicial custody till May 22. On the basis of a complaint DCB CID Crime Branch of Mumbai registered an FIR against Nitish Thakur and others under Section 387, 467, 471 and 420 of the Indian Penal Code (IPC), on the charges of forgery, cheating and extortion. Nitish Thakur, a state government employee had undertaken the job of Project Management Consultancy (PMC) in the name of PRS Enterprises, a proprietary firm of Sudhanshu Khot and undertook a 56 acres redevelopment project under PMC which was to be developed by S.D. Corporation Pvt. Ltd at Mumbai's Kandivili. Nitish Thakur engaged services of Mukesh Waghela and Pandurang Thakur and promised them 5 percent commission for liaison job. Later on he started another firm by the same name i.e. PRS Enterprises and inducted his brother Nilesh Thakur as its proprietor and a total amount of Rs. 1,31,04,70,291 was received in PRS Enterprises from S.D. Corporation Pvt. Ltd as PMC charges subsequently. When Waghela and Pandurnag Thakur pursued for their five percent commission totally amounting to Rs 13.10 crores, they were threatened to be killed and therefore they filed the complaint. Accordingly investigation was taken up by the Directorate on May 5, 2011. The Anti-Corruption Bureau, Raigad Police registered another FIR dated March 14, 2012 at Alibaug against Nitish Thakur, invoking Section 13(1) (e) and 13(2) of the Prevention of Corruption Act, 1988 read with Section 109 of the IPC, 1860 for misusing his official position and powers vested upon him as a government servant and amassing properties and money to the tune of Rs. 118 crore during his service as Section Officer GR- I in Rural Development, Ministry of State of Maharashtra since 1993 to the Deputy Collector up-to March 23, 2010, which was in excess of his legal remuneration. Accordingly, the ED initiated another investigation vide dated June 18, 2012 under the provisions of Prevention of Money Laundering Act, 2002 against Nitish Thakur, Nilesh Thakur, Minal Nitish Thakur and Chhaya J. Thakur. Investigations under PMLA revealed that Nitish J. Thakur and others have received a huge amount to the tune of Rs. 275 crore in the names of companies, firms formed and floated by Nilesh Thakur and other family members. The PMLA investigation prima facie revealed that above said total amount of Rs. 275 crore is nothing but the proceeds obtained as a result of criminal activity relating to the schedule offence, as defined under Section 2(1) (u) of PMLA, 2002. Though, the party has claimed it as Project Management Consultancy (PMC) charges or advance for aggregation of land, however, this amount was not found to be bona fide income, hence it prima facie appear to be Proof of Concept (POC). Further investigations revealed that the proceeds of the crime are traced to have been parked in different forms and some of such placements were used for purchase of immovable properties. Nilesh Thakur, an architect by profession has abetted his brother Nitesh Thakur in the generation of huge property by cheating the government through corruption. This has led to the attachment of movable and immovable properties valued Rs. 132 crore till date. Following the investigation, the Enforcement Directorate has filed chargesheet in this case against Nitish Thakur, Nilesh Thakur and others before the PMLA Court of Mumbai. Nitish Thakur had fled abroad before the initiation of investigation by the ED and is presently reported to be in Dubai. His brother Nilesh Thakur was not appearing before the Court hence the Court had issued Non Bailable Warrant against him on May 3 for the production on May 16. The ED officers nabbed him on May 16 in late hours and produced him same day before the court. Further investigation is under progress.